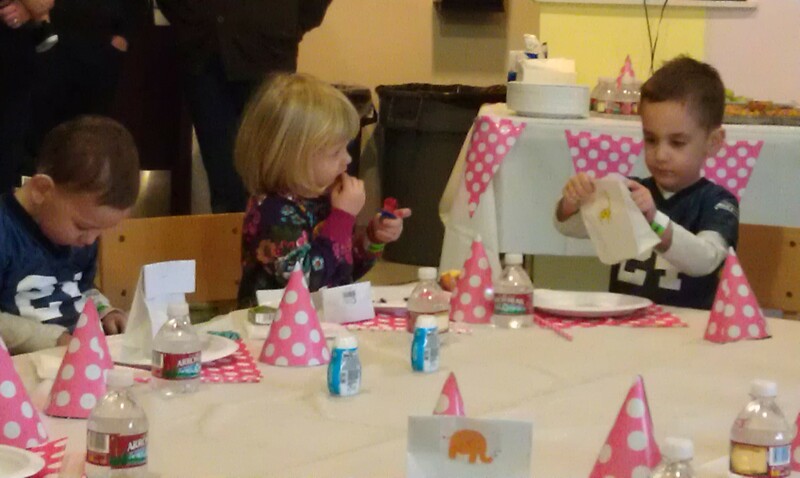 So we went to a birthday party today. For the 3-year old Carl cares for. It was at the zoo, around 1-1/2 miles away, so we decided to walk. After the party we walked around a mile more to Sagan’s house to watch the Seahawks and 49ers play for the NFC Championship, and a trip to the Super Bowl. At half-time we decided it was time to start for home. The sun was setting and our route had some less than well-lit areas. The route was mostly residential areas. We would look for houses with the big screen TVs. Honestly, we could not see much in houses TV, but there were a few times when there were cheers wafting from one house, and then another. Eventually we started leaning toward the neighborhood business areas. Find a bar and check out the score. Restaurants. 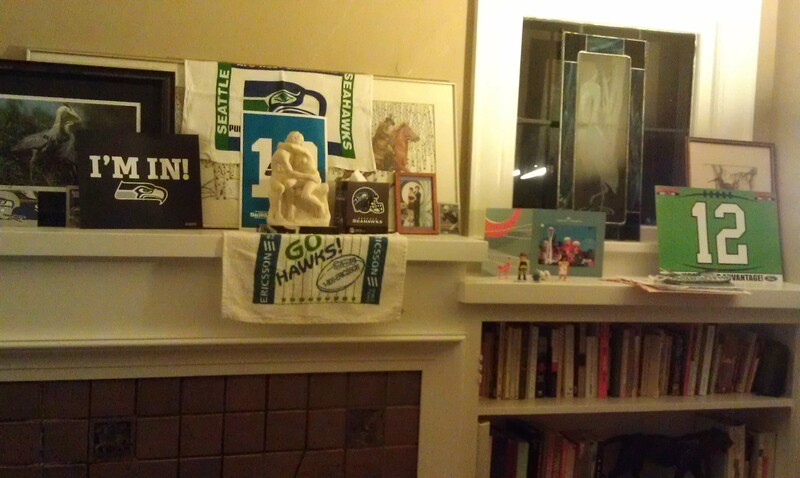 As we neared our neighborhood the Seahawks were picking up the pace, and took the lead. We decided we should stay out, so we started taking a rather circuitous route – picking up probably four or five more bars.As we approached the Café Racer, the place sort of erupted. This was the final interception of a 49er pass, in the end zone. At that point we decided we could go home. 8 miles total, and we are going to the SUPER BOWL! This entry was posted on January 19, 2014 at 8:52 pm and is filed under Uncategorized. You can follow any responses to this entry through the RSS 2.0 feed. You can skip to the end and leave a response. Pinging is currently not allowed. YAY Seahawks!! I didn’t have the nerves to watch most of the game, but I was very excited when they won. 🙂 My late husband would have been over the moon!! Love the sunset picture with the clouds! We switched over to “Downton Abbey” at 8:00 CST, so we missed the 4th Qtr. It seems like it was THE quarter to watch, but I had other priorities. 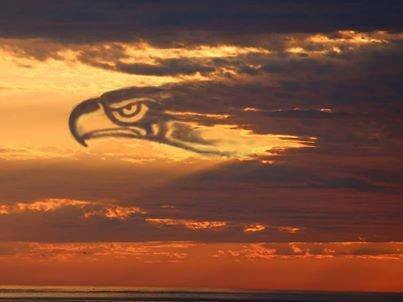 I would love a copy of the Seahawk cloud photo it is so cool. Check out the King 5 Weather page on Facebook. Got to scroll down a bit now.